Summary (from Goodreads): Emmy just wants to be in charge of her own life. My Summary: Emmy and Oliver had been neighbours and best friends since the day their mothers met in the delivery room. For seven great years they lived next door to one another, spending every waking moment together. That all ends the day Oliver disappears with his father - an alcoholic in the midst of a custody battle with Oliver's mother. Nobody realizes that Oliver has been kidnapped until three days later, by which time he and his father are long gone. Ten years later, Oliver is found and returns to his childhood home to live with his mother. Emmy is ecstatic about the return of her friend, but the Oliver that returned is nothing like the one who left. Despite all the changes, one thing remains: he trusts Emmy. As they get to know each other all over again, Emmy and Oliver must deal with everything that followed Oliver home, as well as attempt to repair the lives of those who had been left behind. My Thoughts: Reading this book was like fighting an addiction. I knew I had a bunch of things to get done and a to-do list a mile long, but the minute I started reading, I couldn't put it down. Emmy and Oliver's story hooked me from the very beginning, and I would not be able to rest until they were safe and happy. Benway's writing was wonderful, and the story flowed beautifully. The dialogue between Emmy and her friends was incredibly well written, and Emmy's narrative itself was real and easy to relate to. Although this was marketed as a romance, I felt like the romance wasn't as big of an aspect of the novel as you'd expect. 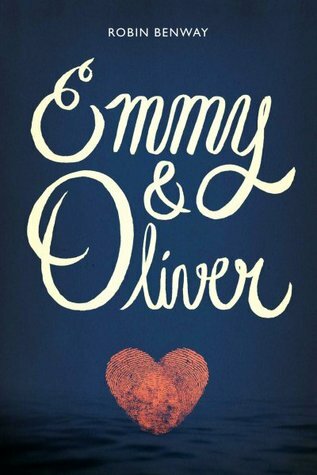 A lot of the focus of the novel is Emmy and Oliver trying to put their lives back together again. This novel also centers around familial relationships, and the way that they can be tested. The characters were so well-written. I love it when the secondary characters are so fleshed-out and real that you would read an entire book based on them alone. Emmy and Oliver themselves were easy to relate to, and the emotional punch the book packed is not for the faint of heart (I was sobbing at points and I'm in no way ashamed to admit that). Final Thoughts: I recommend this novel to fans of YA contemporary lit as well as romance. Definitely one to check out if you're looking for a great new YA release!